I began this career because I love to capture unique human experiences. People are so dynamic and unpredictable and I find photographing them an exciting challenge to explore through photography. The ideal image captures the convergence of light, moment and composition. And when everything aligns, it’s beautiful. Photography gives me an opportunity to capture a specific vision to share with others. Ultimately, a well captured image represents a moment in time that is expressed infinitely. I became a professional photographer by attending one of the leading western schools of art and getting a Bachelor of Fine Art in Photography. I have taken my advanced training, state of the art equipment, and personal artistic style to create my business. I want to offer the best imagery to my clients. 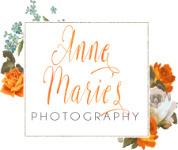 You deserve someone who is trained and experienced to document your wedding and your loved ones. My high standards and easy laid back personality will create an experience that you will never forget with images you will cherish forever. My style is clean, timeless, and simple. If that is what you are looking for you have come to the right place.